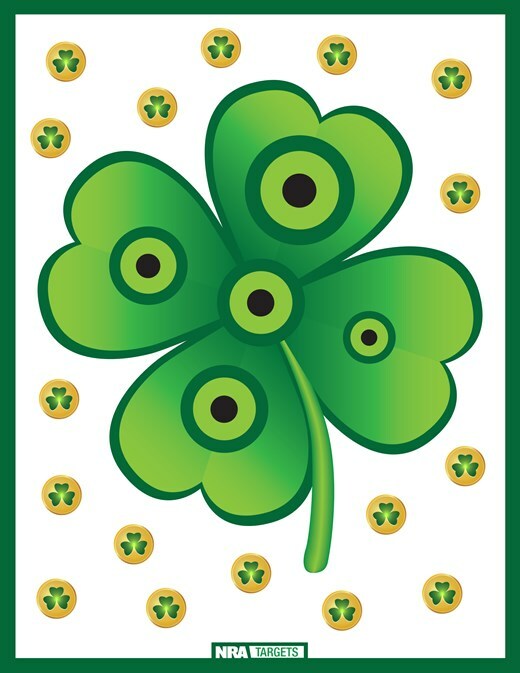 It’s March 4th today, and that means St. Patrick’s Day is coming up in a couple weeks. 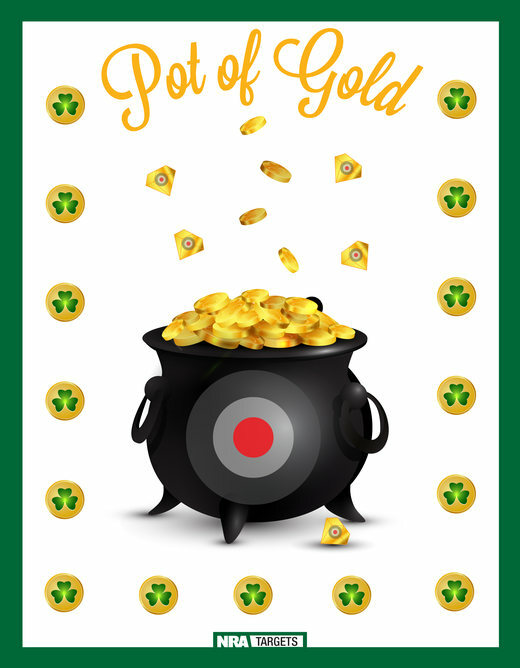 To help celebrate that traditional day of Irish pride, parades, and green beer, the NRA has created two (2) fun targets you can download, print, and shoot. 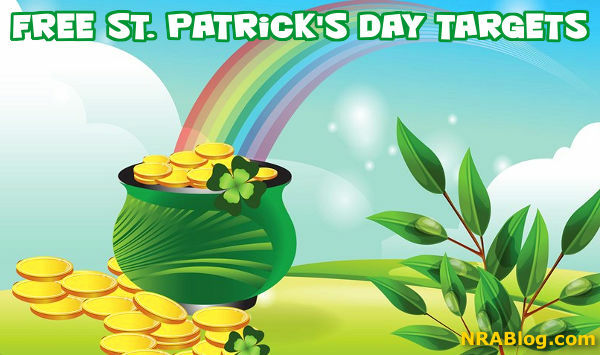 Share the post "Free, Downloadable Lucky Targets for St. Patrick’s Day"
CAPTION: LB Bar Ranch — South Fork, Cody, Wyoming. Photo circa 1953-1955, by Les Bowman. Imagine having multiple “founding fathers” of the modern American gun industry all on the same hunting trip. Well it really happened. A few years back, the cover of the Huntington Die Specialties Catalog featured a wonderful vintage photo, taken in the early 1950s. 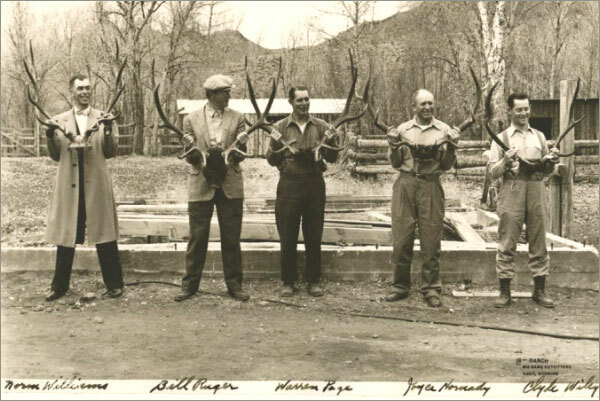 You can see (left to right): Norm Williams, Bill Ruger, Warren Page, Joyce Hornady, and Claude Willey. Of course you’ve heard of Joyce Hornady, co-founder, with Vernon Speer, of Hornady Manufacturing. Bill Ruger co-founded Sturm, Ruger & Co. with Alexander Sturm in 1949. After Sturm died in 1951, Bill Ruger ran the company for five decades, before passing in 2002. Warren Page was a famous cartridge wildcatter, and Gun Editor of Field & Stream magazine. We couldn’t find information on Clyde Wiley or Norm Williams, and we certainly don’t know why Norm is wearing a bow-tie and top coat! Perhaps our readers can tell us more about Wiley or Williams. Joyce Hornady was an ardent shooter who needed a steady supply of accurate bullets. While the bullets available in the late 1940s were usable, Joyce felt that better bullets could be made. During World War II, Joyce had taken a job in a guard training unit at the Grand Island Army Ammunition Plant. Following the war, shooters and hunters used some of the vast surplus of military ammunition for their sport shooting. This surplus ammunition however, did not offer the accuracy or performance needed for target shooting, big game or varmint hunting. Joyce realized the need for better bullets and he responded to it. In 1949, he and his original partner Vernon Speer built a machine that converted spent .22 rimfire cases into bullet jackets, and then into bullets. These bullets sold well all over the country. Using a surplus bullet assembly press, he also began to produce a .30-caliber bullet that became a mainstay of Hornady’s bullet line. In 1958, the company moved to a larger 8,000-square-foot plant with a 200-yard underground testing facility. Before that underground range was completed, Joyce Hornady would drive to the Grand Island Rifle Range, winter and summer, rain or shine, to test each individual lot of bullets. Share the post "Gun Industry Greats — When They Were Young"